In May, PAA submitted written testimonies about the National Endowment for the Arts (NEA) to the House and Senate appropriations subcommittees on the Interior, Environment, and Related Agencies. These subcommittees make recommendations for the NEA's budget. PAA's testimonies highlighted the value of the NEA's support for the performing arts in the United States, included specific examples of PAA member organizations' programs and services that have received recent grant support from the agency, and urged the committee to fund the agency at $155 million for fiscal year 2018. Click here to read PAA's testimonies. Do you have questions about where the NEA stands after the release of the President's FY18 "skinny budget?" Check out this FAQ document prepared by the NEA staff, addressing the agency's operations, programming, and the impact of its grant programs. Take Action on the President's Budget Proposal! The President's "skinny budget" proposes eliminating the National Endowment for the Arts, cutting cultural exchange programs at the U.S. Department of State, and more! Take action today and tell Congress to support the arts in the U.S.! Chairman Jane Chu of the National Endowment for the Arts gives this statement on the President’s FY 2018 budget blueprint which proposes the elimination of the National Endowment for the Arts. "Today we learned that the President’s FY 2018 budget blueprint proposes the elimination of the National Endowment for the Arts. We are disappointed because we see our funding actively making a difference with individuals of all ages in thousands of communities, large, small, urban and rural, and in every Congressional District in the nation (more)." Stay tuned as PAA will provide analysis on what the budget blueprint says for arts-related policy issues such as arts education, international exchange, and more. The President is expected to release his FY18 budget outline on March 14, with a fully detailed budget expected to come later this spring. Several news outlets have reported that the budget outline will propose eliminating funding for the National Endowment for the Arts, National Endowment for the Humanities, and several other programs and agencies with the goal of reducing federal spending by trillions over the next decade. This is concerning news in the least, but know that the President's budget is just the start of the federal appropriations process. The House and Senate will each conduct budget negotiations, and each must pass its own spending bills and then come to agreement on total federal spending. Once spending bills are agreed upon, they must be signed into law by the President. 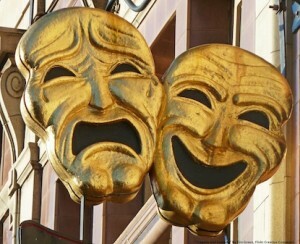 Your active participation in arts advocacy efforts will be more important than ever this year. Visit the PAA Arts Advocacy Issue Center for talking points and to send messages to your elected officials. The Hill reported on January 19 that President-elect Trump’s budget blueprint would eliminate funding for the National Endowment for the Arts, National Endowment for the Humanities, and several other programs and agencies with the goal of reducing federal spending by trillions over the next decade. This is concerning news in the least, but know that this is just the start of the federal appropriations process. 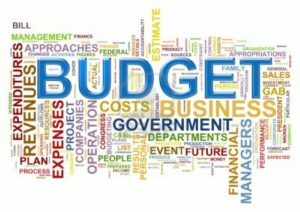 While the president's budget will not be released until April, the House and Senate will each conduct budget negotiations. Each chamber must pass its own spending bills and then come to agreement on total federal spending for each fiscal year. Once spending bills are agreed upon, they must be signed into law by the president. It’s important that you be in contact with your lawmakers so that they are aware of the work you do in your communities with the support of NEA funding. Arts organizations provide many key services to communities that provide education, support cultural awareness, and contribute to overall well being. If you have a new lawmaker in office, take the time to write or call and introduce your organization and share the work that you do. You can find contact information for your lawmaker’s local and Capitol Hill offices here; see our list of new (freshmen) members of this Congress. PAA is working with a national coalition of arts advocates throughout the year and during the appropriations process. We’ll keep you updated on the federal budget progress and call on you to take action for the arts as the process unfolds. This month, the National Endowment for the Arts (NEA) announced the first round of grant awards in the FY17 funding cycle. Over $30 million was awarded to projects in 48 states. Awards were granted in the Challenge America and Art Works categories, and Creative Writing Fellowships were also awarded. The Art Works category included "Creativity Connects" projects, Chairman Jane Chu's signature initiative that supports partnerships between arts and non-arts organizations, such as those in science, technology, and healthcare. More information about NEA grant programs, upcoming deadlines, and application details is available here on the NEA's website. The House Appropriations Committee has recommended $149,849,000 for the NEA's FY17 budget. This amount is equal to the President's FY17 request for the agency, and is a $2 million increase over the NEA's FY16 budget. The Senate Appropriations Committee recommended $148,449,000--just a $500,000 increase over FY16. Both House and Senate appropriators lauded the work of the NEA's Healing Arts Partnership which serves veterans and their families. Increased funding is to support current program sites and will help the program expand to new sites in the near future. The next step in the regular order for appropriations bills is for the full House and Senate to debate and vote on their respective bills. House and Senate Debate the NEA Budget this Week! The House Interior Appropriations Subcommittee recently approved $149,849,000 million for the NEA for FY17. This is an increase of about $2 million over FY16 and is the same amount that President Obama requested for the agency. PAA and arts advocates are asking Congress for $155 million for the NEA next year. Interior Appropriators Approve NEA Increase! House Interior appropriators approved increased funding for the National Endowment for the Arts at $149,849,000 in today's markup of the FY17 Interior, Environment, and Related Agencies bill! This increased amount is equal to the President's budget request and is approximately $2 million more than the agency's FY16 appropriation. During the markup, no cuts were proposed to the agency and no harmful amendments against it were introduced to the bill. Thank you for contacting your legislators and telling them about the importance of the NEA in supporting your organization's work in your community. Today's markup begins appropriations discussions for the NEA. Next, the House Interior Appropriations subcommittee will send the bill to the full House Appropriations committee for debate. Stay tuned for a call to action to contact your legislators and speak up for the NEA! Last month, PAA submitted written testimonies about the National Endowment for the Arts (NEA) to the House and Senate appropriations subcommittees on the Interior, Environment, and Related Agencies. These subcommittees make recommendations for the NEA’s budget. PAA’s testimonies highlighted the value of the NEA’s support for the performing arts in the United States and included specific examples of PAA member organizations' programs and services that have received recent grant support from the agency. Click here to read PAA's testimonies. The House resumed floor consideration of the FY16 Interior Bill on July 7 after the Independence Day recess. This bill contains the budget for the National Endowment for the Arts (NEA). Representatives began debating the bill at the end of June but had not discussed the cultural agencies before the break. Both the House Interior Subcommittee and the full Appropriations Committee approved $146 million for the NEA--level funding with last year. Many of you took action for the arts and asked your Representative to preserve this amount and vote against any amendments to the Interior bill that could reduce it. Floor consideration was stalled and the bill was pulled from the House floor after controversy surrounding a vote about the confederate flag being displayed on cemeteries on federal land. In the Senate, an Interior Bill has not yet been sent to the floor for debate, however both the Interior Subcommittee and full Appropriations Committee approved $146 million for the NEA in FY16. June 18: the full Senate Appropriations Committee approved the Interior spending bill with the same amount approved by the Subcommittee The next step in the process is for the full Senate and full House to debate their respective Interior spending bills. Both Chambers of Congress are aiming to finish appropriations before the July 4th recess. PAA advocates for $155 million for the NEA. We ask for this amount because although the NEA has been funded at $146 million for the past four years, previously, both the President and the Senate Appropriations Committee have supported $155 million, most recently in FY11. Both the House and Senate are considering their FY16 Interior Appropriations bills which contain recommendations for the NEA’s budget for the next fiscal year. On June 10, the House Interior Appropriations Subcommittee approved $146 million for the NEA. The full House will vote on the bill on Tuesday June 14 at 10:15am. Click here to write your representative and ask for $155M for the NEA! The Senate Interior Appropriations Committee is set to consider its FY16 appropriations bill on Tuesday, June 14 at 2:30pm. If you live in California, Kentucky, Louisiana, Mississippi, Missouri, Montana, North Dakota, Oregon, Rhode Island, Tennessee, Vermont, you have a senator that serves on this committee. Write your Senator today and ask for $155M for the NEA in FY16! Congress passed two additional short-term continuing resolutions to provide a few extra days for final passage of the “CRomnibus” appropriations bill for FY15. On December 16, The President signed the CRomnibus--the Consolidated and Further Continuing Appropriations Act of 2015--into law. It continues level funding at $146 million for the NEA and NEH through September 30, 2015. Having failed to pass any appropriations bills, Congress passed a continuing resolution extending federal funding until December 11 and avoiding a partial government shutdown. The President enacted the resolution. The Senate Interior Appropriations Subcommittee releases its FY 2015 draft bill, which includes $150 million each for the NEA and NEH. No further action on the Senate bill occurs. On July 9, The House Interior Appropriations Subcommittee approved a funding cut for the NEA which would reduce its budget from $146 million to $138 million. Although not the 49% cut appropriators proposed for the agency last year, this decrease--$8 million--was touted in the committee press release. The full House Appropriations Committee met mid-July and restored the $8 million cut suggested by the Subcommittee. The budget was restored via an amendment by Ranking Member Nita Lowey (D-NY) that was included within Chairman Calvert’s manager’s amendment. No further House action occured. The House Interior Appropriations Subcommittee held a Public and Outside Witness hearing on the FY 2015 budget request. Pamela Hogan, Executive Director of Kids Rock Free School of Music at the Fender® Center for the Performing Arts in Corona, CA, testified on behalf of Americans for the Arts. She was joined by others including representatives from National Humanities Alliance, Federation of State Humanities Councils, and American Alliance of Museums supporting funding for the NEA and NEH. The Obama Administration proposed level funding for the NEA at $146 million, which is less than the President’s proposals from the previous two years and less than the previous funding proposals in the U.S. Senate. NEA’s “Our Town” program was reduced by more than half–to $4.75 million from the previous year’s request of $10 million. On Friday, January 17, President Obama signed into law the $1.1 trillion spending package passed a few days prior by the House and Senate. Lawmakers reached a deal on this spending package in December 2013. The spending bill allocates $146,021,000 to the NEA for FY14 which restores its budget to near-FY12 funding levels. This is nearly double the $75,000,000 the House proposed for FY14 in its Interior bill over the summer. Due to your advocacy efforts, the NEA’s budget has recovered from the 5% cut it received in the FY13 sequester. The House’s FY14 Interior Appropriations bill which sets the budget for the NEA was released in late July allotting only $75 million for the agency. This amount is 49% less than the President’s recommendation of approximately $154.5 million. The full House Appropriations Committee met to markup the interior bill. Rep. Nita Lowey (D-7th NY) and Rep. David E. Price (D-4th NC) submitted an amendment to restore NEA funding to the President’s requested level, but it was defeated by a 19-27 vote. On August 1, the Senate Committee on Appropriations released its draft interior bill for FY14 restoring the NEA's funding back to the President’s level of $154.5 million. 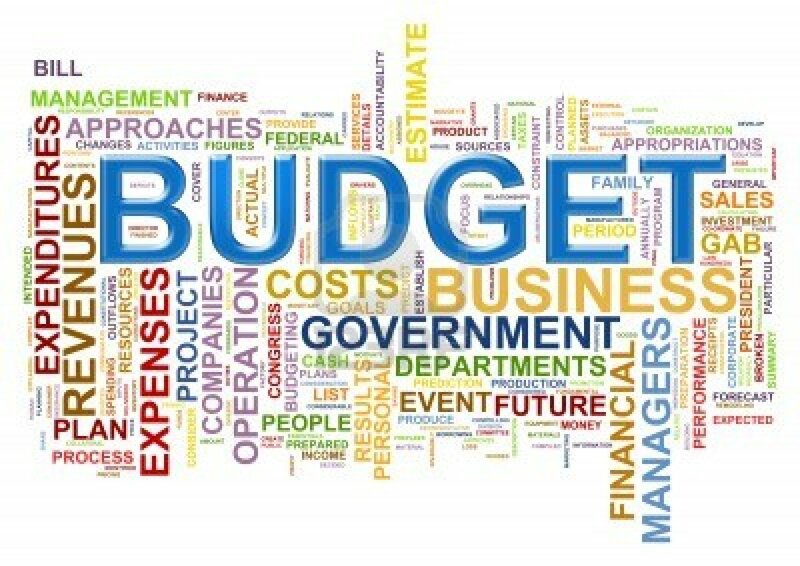 Budget talks, though, were put on hold until after the August recess, leaving about one month until the end of the current fiscal year to make decisions on the FY14 budget. The U.S. House Interior Appropriations Subcommittee voted to cut NEA funding by $14 million for FY13 from the current funding level of $146 million. This decrease of nearly 10% is in addition to the $9 million decrease the NEA suffered last year. President Obama has signed a consolidated bill to finalize FY12 federal funding. The final budget package includes $145.979 million for the NEA. After a rollercoaster year, the FY12 NEA budget suffered a decrease of $8.745 million compared to last year's funding allocation. The House of Representatives and the Senate proposed budgets ranging from $135 million to $155 million, ultimately compromising to reach the same amount originally requested by the President, a decrease for the agency to a level of $145.979 million. In anticipation of a decrease this year, the NEA, which is halfway through its FY12 grant cycle, has reduced the total amount of grant disbursement, and further changes for FY13 grants and beyond are expected to be announced shortly. The House of Representatives approved an amendment offered by Rep. Tim Walberg (R-MI-7) to cut FY11 funding to the National Endowment for the Arts (NEA) by $20.6 million. This amendment was on top of the $22.5 million funding reduction already recommended by the House Appropriations Committee. The House FY11 continuing budget resolution now includes a $43.1 million funding decrease to the NEA, which represents a 25% cut from current funding. The approved amendment offered by Rep. Tim Walberg (R-MI-7) to reduce NEA funding was adopted by a vote of 217-209. Two amendments, filed by Rep. Scott Garrett (R-NJ-5) and Rep. Connie Mack (R-FL-14) to completely eliminate NEA funding, were not ultimately offered on the House floor. The FY11 budget resolution has moved to the Senate, and we are calling on Senators to restore federal funding for the NEA.